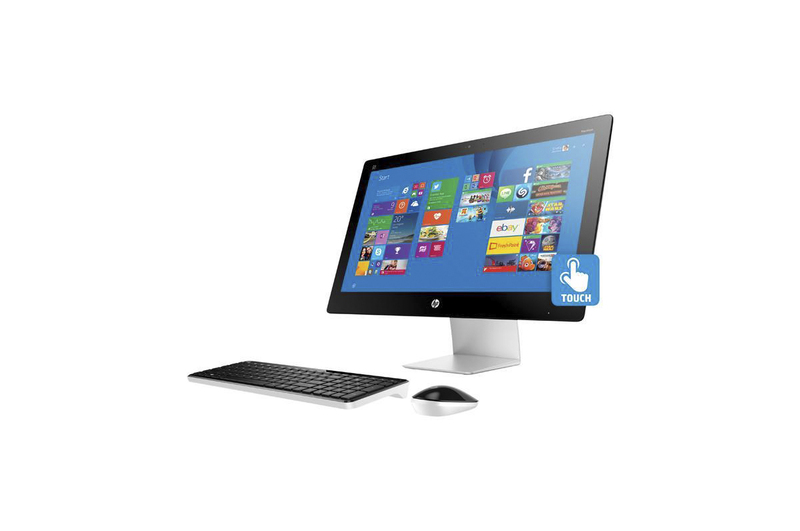 Let the HP All-in-One computer make your desktop shine with a slim and stylish look. All PC components are cleverly arranged in the display. You will get stunning PC performance without a bulky and dull case. 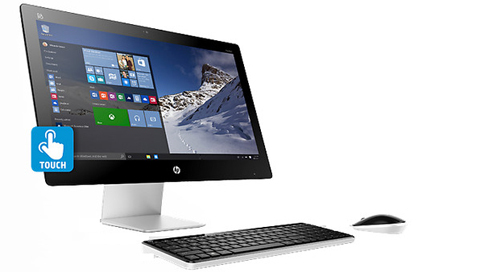 The extra-large 23” IPS FHD LED-backlit display offers edge-to-edge touch capability. 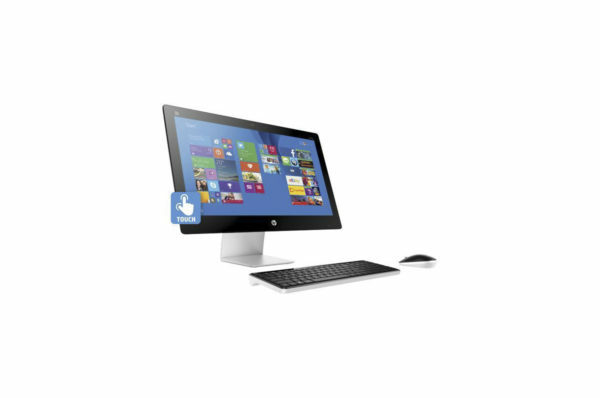 Coupled with the fluid Windows 8.1 operating system, it enables you to operate your computer – on an intuitive term. 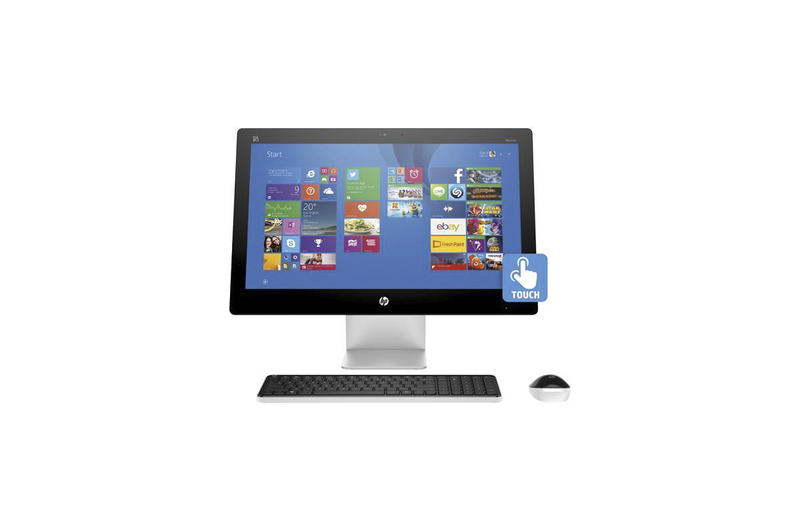 It also comes with a wireless island-style keyboard, and a wireless optical mouse. The wireless keyboard provides you with a responsive, quiet and comfortable typing experience. The ergonomic wireless mouse delivers superior tracking performance. Get rid of cord clutters, and keep your desktop clean. 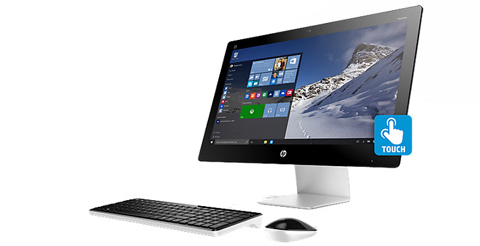 Speed up your daily work with the HP All-in-One Computer Pavilion 23-q010. The AMD A8-7410 APU, featuring a quad-core CPU and discrete-level Radeon R5 Graphics on a single chip, delivers jaw-dropping computing power and superb rendering power in an efficient manner. Together with up to 4GB memory, multitasking will be extremely smooth. Up to 1TB HDD gives you plenty of room to store your work files and media content. 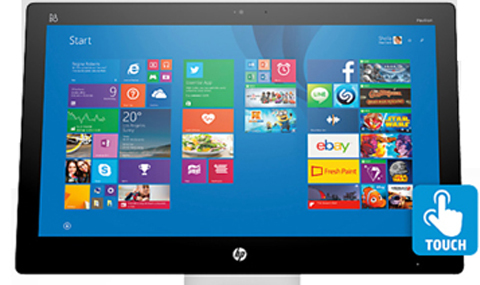 See every detail on the super-sized 23” IPS FHD LED-backlit display. With a maximum resolution of up to 1920 x 1080, the display delivers detailed, crystal-clear images with vibrant colors. Better yet, the edge-to-edge display utilizes advanced in-plane-switching (IPS) technology, delivering stunning color consistency from almost any angle. The display features a sleek edge-to-edge glass cover, and boasts excellent multi-touch capability, making your Windows 8.1 experience even more amazing. Now you can swipe and tap to interact with your favorite apps and games. Get more done with less effort. 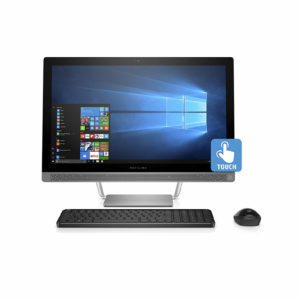 With a beautifully engineered aluminum-coated stand and a soft pearl-coat finish, this sleek computer brings fashionable design to the center of your home. Refresh you input experience with the included wireless island-style keyboard. 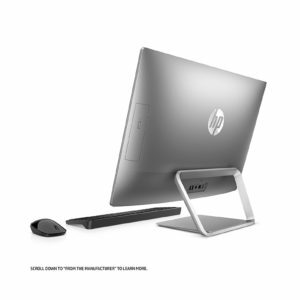 The advanced wireless technology provides reliable wireless connection, eliminating annoying cable clutter. The ergonomic, low-profile key design makes typing silent, responsive and comfortable. The dedicated hotkeys allows for instant access to frequently used functions. The built-in volume control enables quick and easy volume tuning, giving you extra convenience. Easily slide through your daily tasks with the included wireless optical mouse. It provides extreme accuracy and flawless tracking on most flat surfaces. Its ergonomic shape ensures the maximum comfort.